PERRYVILLE, MO, July 25, 2018 – Robinson Construction Company was recently awarded a $14.4 million contract for design and renovation of Building 751 at Patrick AFB, Florida. Building 751 is a 1940s era maintenance hangar that houses the 920 Maintenance Group, 920 Aircraft Squadron, and 920 Maintenance Squadron. 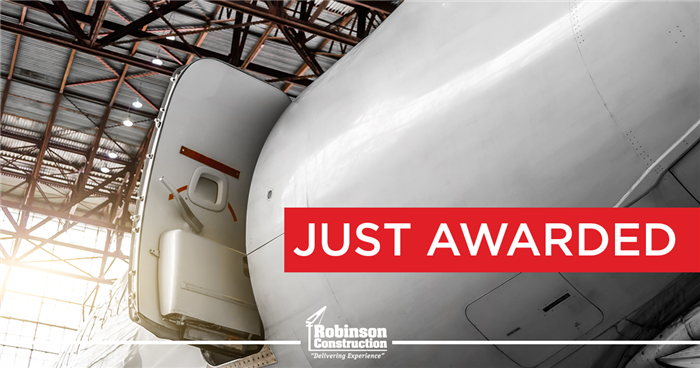 Robinson was awarded the contract for design and renovation of the 47,000 square foot facility on July 19, 2018. The renovations include upgrade of the existing building systems such as electrical, mechanical, and fire protection; resurfacing of the hangar concrete floor surface; repair of hangar doors and their components; central HVAC installation in the office area; installation of approximately 25,000 square feet of bird netting in the hangar bay; and site preparation and utilities for temporary facilities. 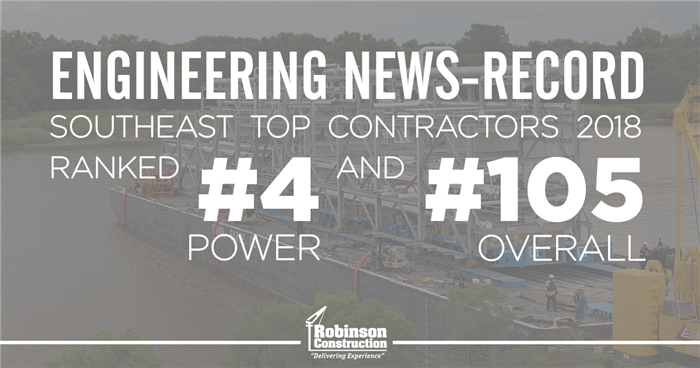 Engineering News-Record (ENR) has recognized Robinson Construction Company as one of the Top Contractors in the Midwest. Rankings are based on 2017 revenue for work completed in the Midwest region (Illinois, Indiana, Michigan, Missouri, Ohio, Wisconsin). ENR is a weekly magazine that provides news, analysis, data and opinion for the construction industry worldwide. ENR performs annual surveys of the largest contractors and design firms in the U.S. and internationally and ranks them based on annual revenue. 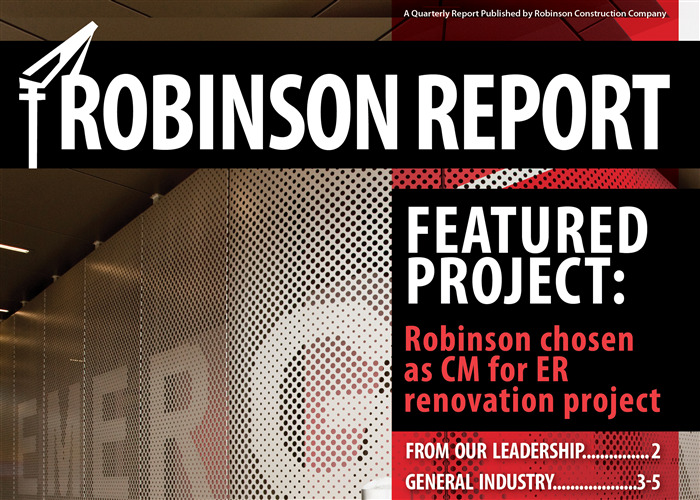 Robinson Construction is ranked No. 4 in power construction and No. 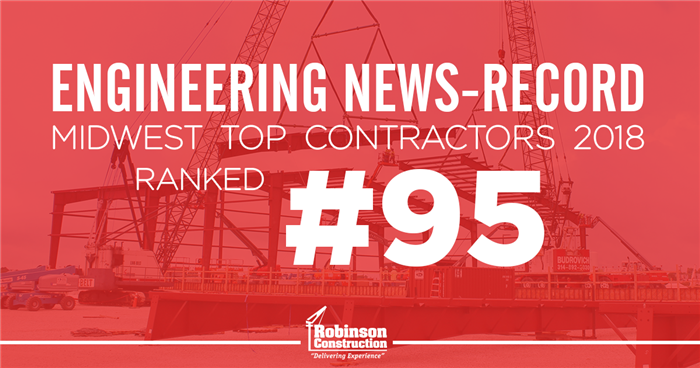 105 overall on the Engineering News-Record (ENR) Southeast Top Contractors list for 2018 – up 13 spots from last year! 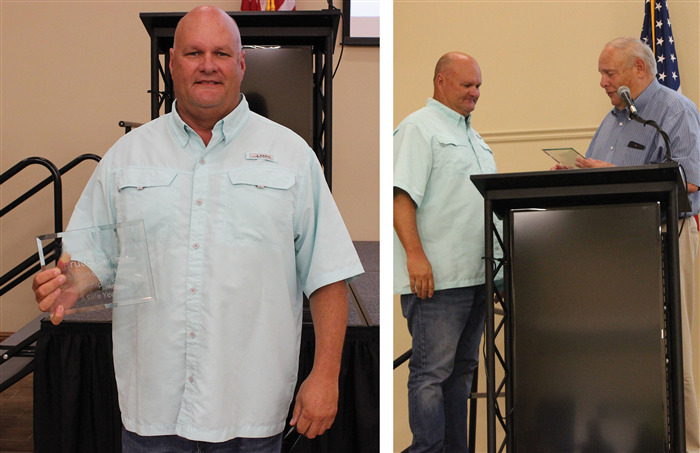 Gibbar Recognized as a "Leader in Safety"
“I am writing to thank you for your efforts in achieving three years without a contractor lost time accident on our [jobsite]. In May, thousands of contractor hours have been registered on our site without a lost time incident. 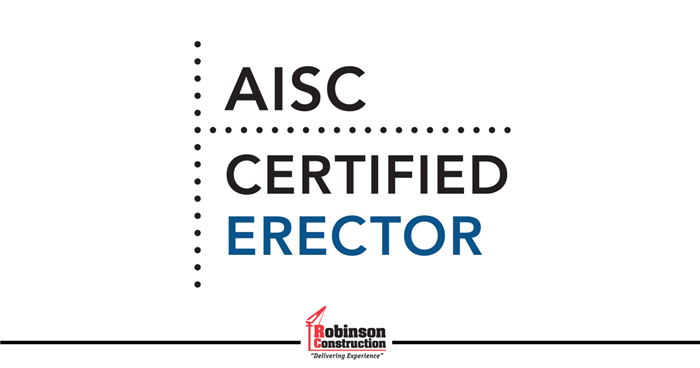 The on-site team routinely demonstrates a clear understanding of, and commitment to safety. 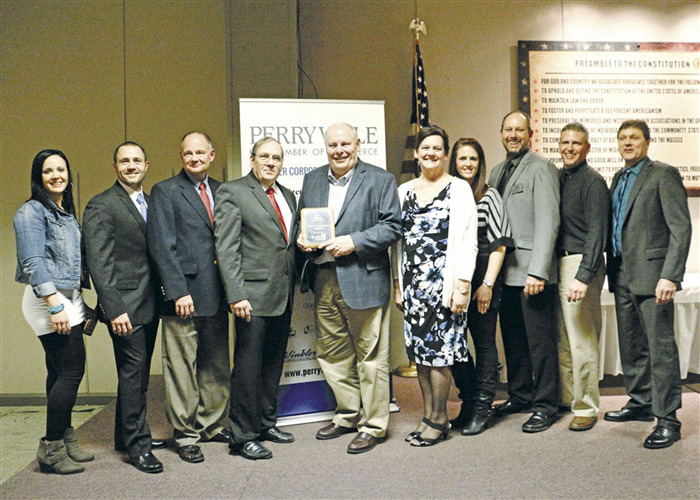 In many cases, that partnership has led to us improving safety performance together. Our leadership team determined that a cornerstone of our successful partnership here has to do with the Leadership in Safety demonstrated by your on-site leader, Bruce Gibbar. His contributions to safety go beyond looking after his own crews, to our extended teams, as well as other contractors and visitors. He has been effective in meeting [our] reporting standards, root cause safety problem solving, and takes swift action where safety is concerned. It is truly a pleasure to work with a professional like Bruce. 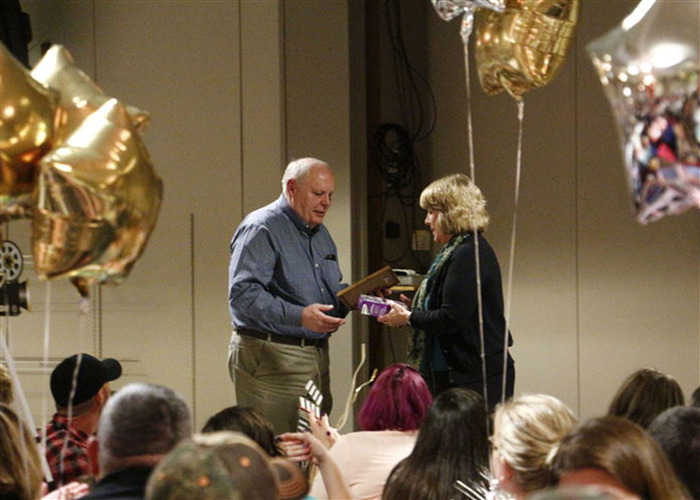 Congratulations to Bruce and his entire team on this great accomplishment!